Little bites of savory, cheesy goodness! 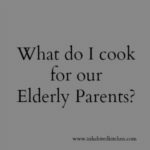 A lovely appetizer in every sense as it tempts the appetites of our elderly parents, encouraging them to eat while providing good food. ‘Tis the season for food bloggers to write about entertaining. Recipes for family feasts, dinner parties, cookie exchanges, and office parties are cropping up all over the place. At the same time, I’m looking at all the cocktail nibbles and small plates for ideas to tempt failing appetites. Rich’s mom, especially, finds a typical serving of most food to be overwhelming, but will try a nibble of this and a mouthful of that… She also no longer really tastes many flavors (a common problem for the aging) but enjoys sweet and spicy food – and party foods often emphasize those tastes. Meanwhile, I can give her cheese and nuts, sources of protein that still taste and feel like a treat, not something You Should Eat. I’d seen a couple of mini cheese balls – and they looked wonderful! Perfect for a party (don’t you hate it when your cheese ball starts to look a bit too nibbled and sort of ratty?) great for a buffet (people don’t need to fuss with knives,) but also a lovely little one or two bite treat to pop in your mouth… And they all looked really delicious, but a bit more fussy than I can deal with right now. But I’d made up a batch of my Onion Marmalade. 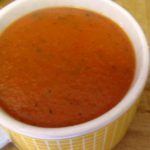 If it sounds fussy, it’s really not – it takes time but not much attention until the end, especially since I made the vegetarian version, without bacon, this time. It freezes well, and it’s a great little homemade gift. And it is so delicious in dip, and served on crackers with cream cheese, that I thought it would be just as good in cream cheese. (If anything, even better, I discovered, because the flavors meld!) It tastes amazingly sweet, as well as all the umami flavor of the onions. If you have not made the marmalade – well, go ahead and make some, it’s terrific! But really, any caramelized onions will work, though the flavor is a bit less complex. I didn’t want cream cheese alone. I wanted to add a bit more flavor and protein. These are not a major protein source, but right now with Mom I’m working on a few grams here and a few there… they add up. (And if I get her accustomed to eating and enjoying cheese bites, I should be able to vary recipes to increase protein.) When I made Roast Garlic Whipped Feta everyone else loved it, but the parents felt the feta was too dominant – so I used the same basic idea but reversed proportions. And for this, it worked perfectly. You don’t taste the feta as such, and the salt isn’t obvious, but it balances the sweetness of the onion marmalade perfectly. It’s super easy. 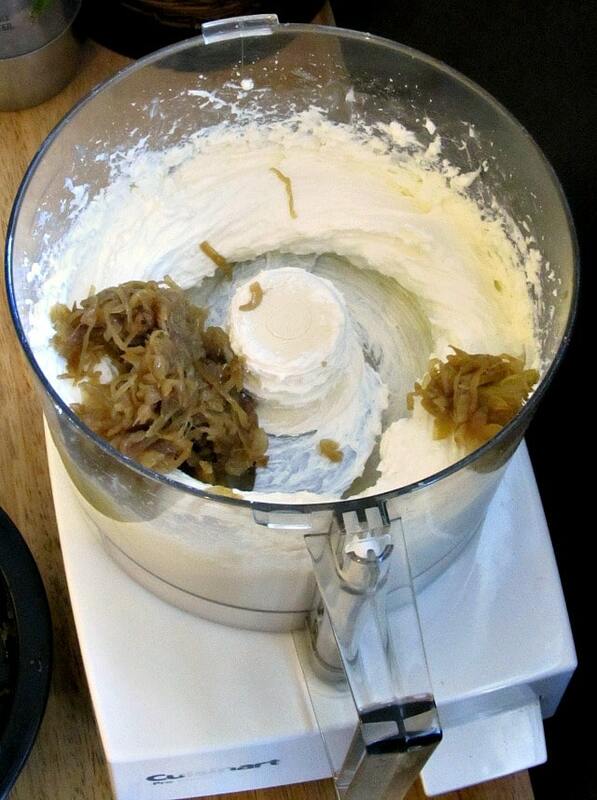 Throw four ounces of feta in a food processor, whir a moment until crumbly. Add an eight ounce block of cream cheese. Now process until it all whips smooth, which may take two or three minutes – you sometimes get cheese clumping together and riding the blade, but it will smooth out. Now add the onion marmalade, and whir for another minute until it seems evenly distributed. I wouldn’t put it in earlier, you want a touch of texture, still, but this is enough to chop it up to spread smoothly. Then scoop it all into a covered container, and refrigerate for at least an hour. Overnight is even better (and can be quite convenient, for the make ahead aspect.) The time helps the cheese firm up,and gives the flavor time to meld beautifully. When you are ready to make the bites, chop pecans and put them in a dish. 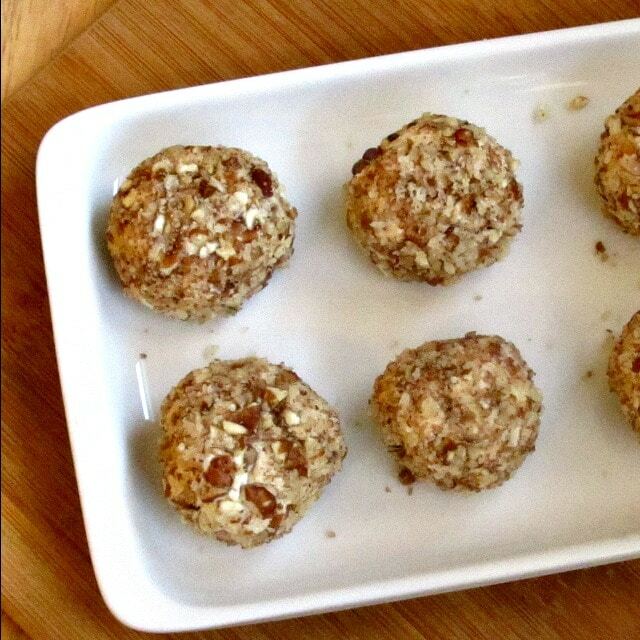 Make one to two inch balls of the cheese mixture – I use a cookie scoop to get them started. Then roll each in the nuts, and put them aside. I like to then give each ball another light roll with my fingers, to help firm it up a bit, and make the nuts stick better. Then put them back in the fridge until serving. I do not recommend making the cheese bites more than a few hours in advance because the nuts soften a little and lose a bit of crunch. If you have to, though, you can… I made a double recipe to take to a potluck, but we had to cancel, and it took us a while to eat two dozen cheese bites… They still tasted good, but the crunch was missing. I make them as finger food, but they are fairly soft. It’s not something I’d serve to walk around munching out of hand, and a toothpick will pull right out. You can, of course, also make larger balls and serve them with a knife to spread on crackers in a more traditional manner. 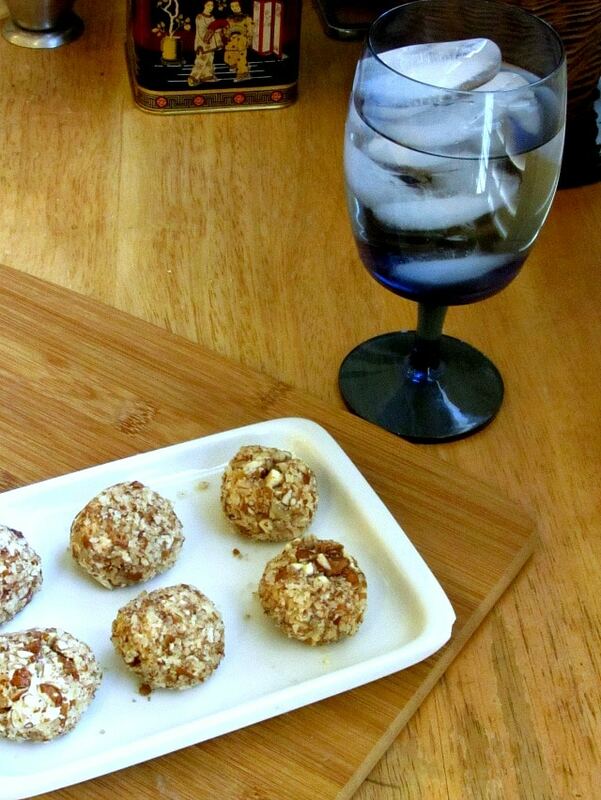 (Even give each guest one slightly larger cheese ball with a cocktail knife and crackers on a plate…) But really, it’s all about the flavor – little bites of onion cheesy goodness! Obviously the recipe contains both dairy and nuts. 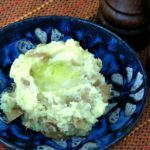 I used the vegetarian version of Onion Marmalade, but my base recipe includes bacon – if you use that version, make sure people know it includes pork. Little bites of savory, cheesy goodness! A lovely appetizer in every sense as it tempts the appetites of our elderly parents, encouraging them to eat. Process feta in a food processor until crumbly. Add cream cheese, and process until smoothly blended. Add Onion Marmalade and pulse until onion is well distributed. Scoop into a covered container and chill in the refrigerator at least an hour. 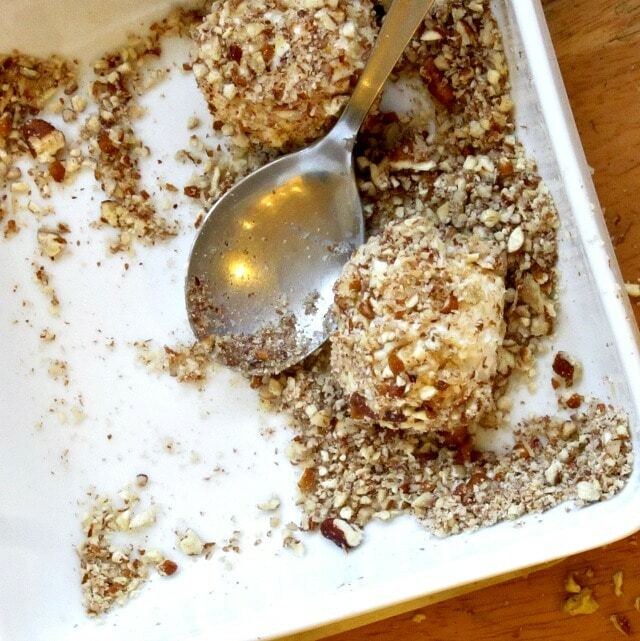 Chop pecans until they resemble breadcrumbs. Place on a dish. 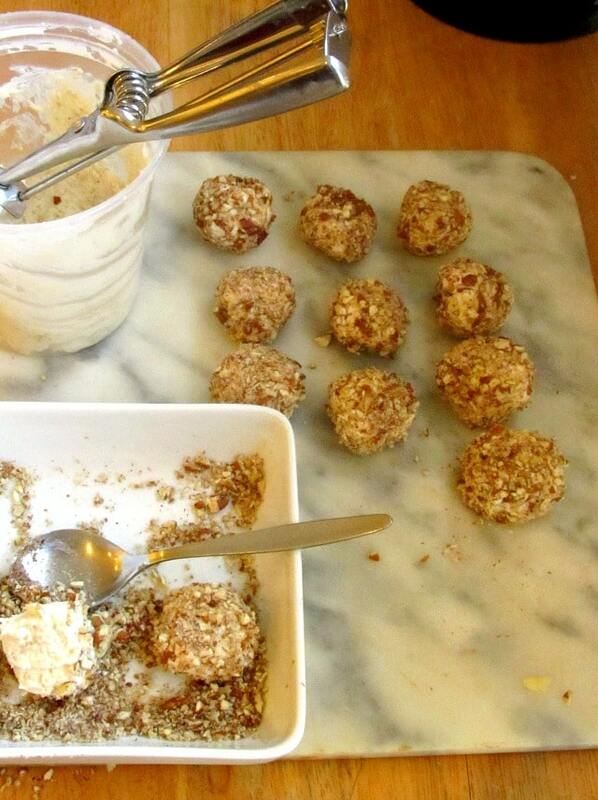 Form small balls of the cheese mixture. Roll in pecans to cover. Roll again, lightly, to press the nuts into the cheese. 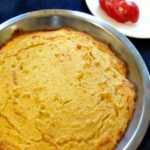 The listed cooking time does not include resting time in the refrigerator to improve flavor and texture. Well if it has feta it has to be delicious. These are super easy to make. With all the holiday parties happening right now, I need to add this to my "to make list". Another feta fan! Seriously, it adds so much to the flavor. Enjoy them! Ooohhhh these onion cheese bites are right up my alley! Give me onion marmalade any day... and in cheese form?! Yes please! These would be perfect for a holiday party! Can't wait to make them! The sweet onion and the cheese are just right together. Enjoy them! These are the perfect appetiser for holiday entertaining. I love the sound if that onion marmalade too will definitely have to give both of these a go. I have to confess I am an onion addict put cheese in the mix and make it a one bite finger food, sold to the guy drooling over here!. Nice work! Cheers! Oh, yes, the two together are just wonderful, if I do say so... LOL Enjoy! What a fantastic idea!! And really it's not that much more work. I love how you did that little bites. 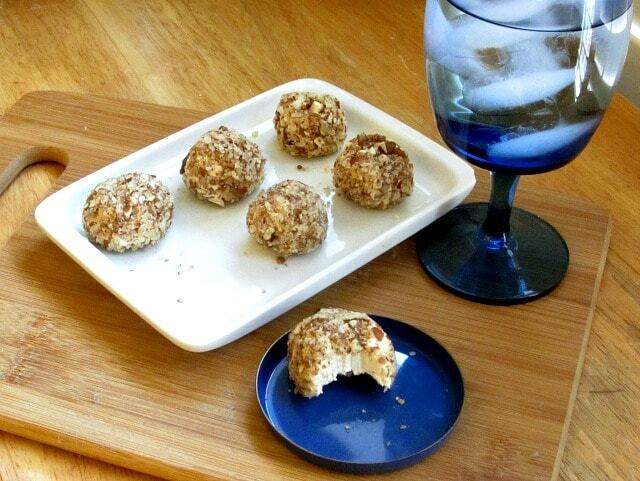 You could even roll the cheese bites in other ingredients versus nuts. And yes!! I hate it when the cheese ball starts looking like a sad blob. This way no double dipping and each person gets their own bite. That is a win-win in my book. What a perfect holiday appetizer. Love the combination of ingredients. So yummy! OMG these little cheese bites look ah-mazing! I'm a sucker for onion jam so I've got to make these for the holidays! Wow, these onion cheese bites looks so good. My husband will love this! It would be the perfect addition to a holiday dinner!! What a cute little appetizer! And I love that you can make it in a food processor - anything that saves me steps or time is a win!